Choose which browser to launch for individual links. Is there a better alternative to Browser Fairy? Is Browser Fairy really the best app in Internet Utilities category? 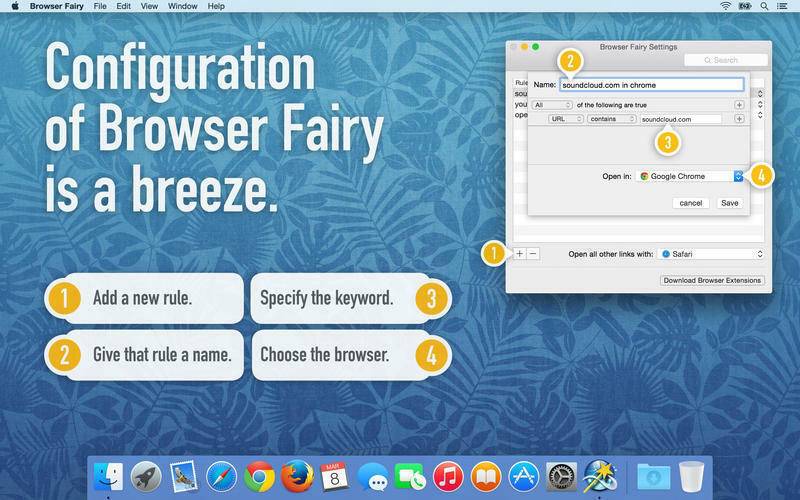 Will Browser Fairy work good on macOS 10.13.4? Browser Fairy is the one tool to rule them all. Get virtually as many default web browsers as you want. 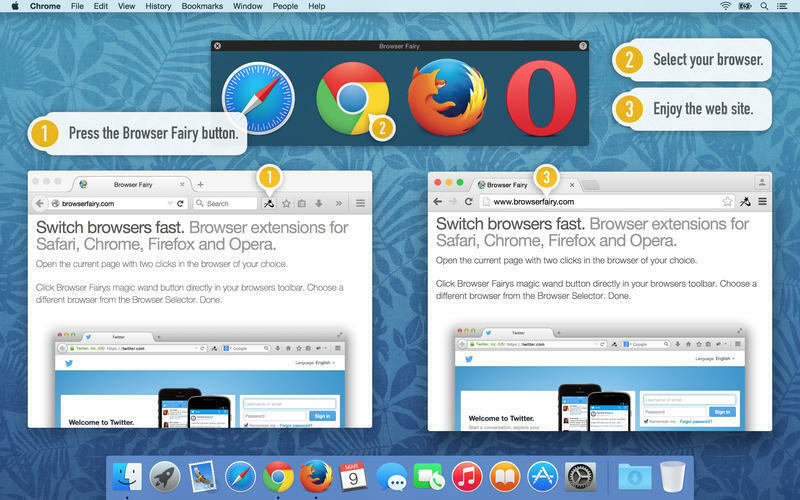 With Browser Fairy you can you can have individual default web browsers for every app and literally every web page. 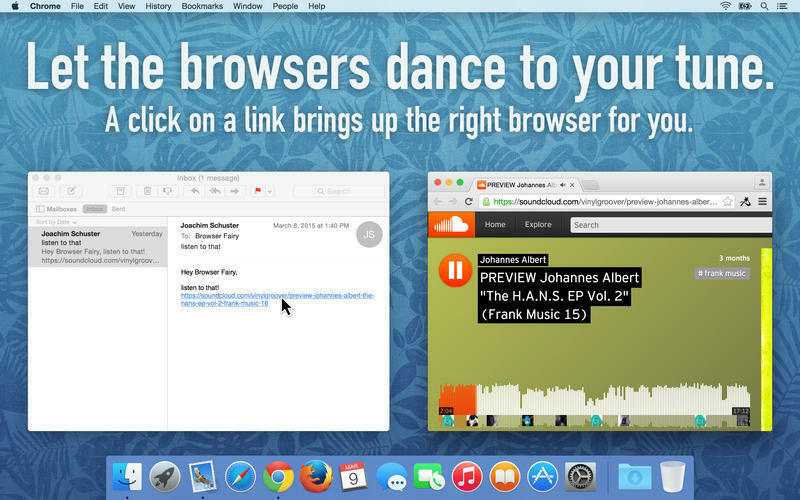 You always wanted to automatically open different web sites in browsers of your choice? Now you can. 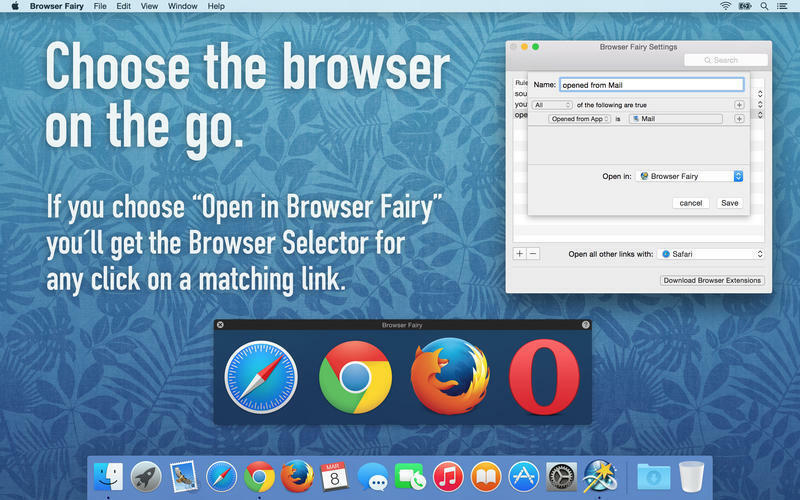 Use Browser Fairy to connect your favorite web sites or any app with your prefered browsers. Browser Fairy needs a rating. Be the first to rate this app and get the discussion started! A click on a link - let's say in Mail or Twitter - Browser Fairy brings up the right browser for you. You got rid of the Flash plugin in Safari? Well, just use Browser Fairy to open your Flash sites in a different browser. 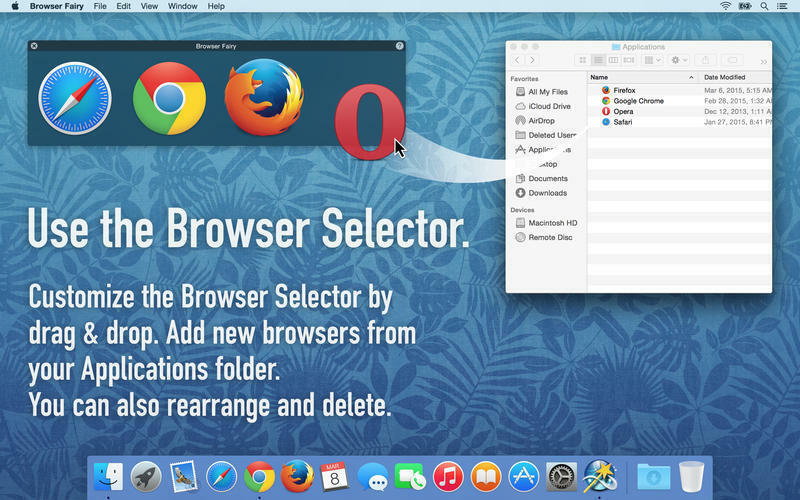 While browsing the web in Safari you can easily open Safaris current page in a different browser with a click on the optional Browser Fairy Safari Extension. By clicking on the "Download Browser Extensions" button Browser Fairy will download the Extension from our web site. No more copy and paste of URLs to different browsers.